Skype will introduce its third-party apps to consumers with a new app directory that lets people browse and access apps that are built on Skype’s API. The directory features dozens of free and paid apps for now that are available on both Windows and Mac. 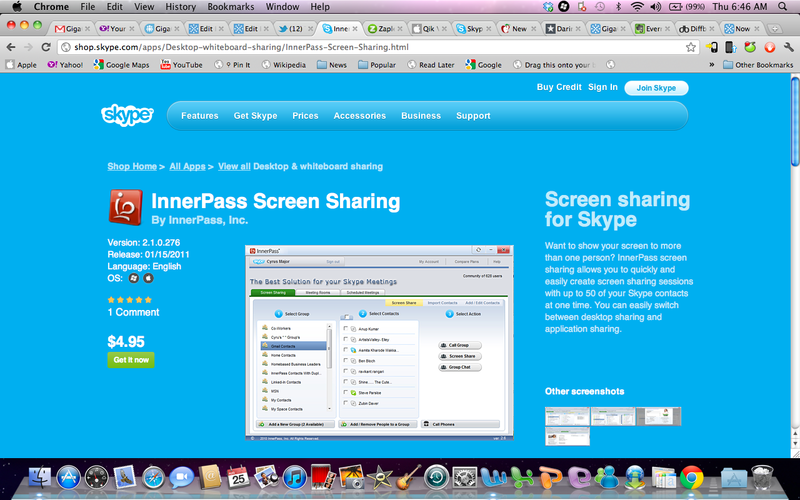 Such a move makes Skype look more like a platform than an application. Users can view featured apps and browse by categories like business, call recording, desktop and whiteboard sharing. They can also search by language, keyword cost, platform, app and developers’ names. Skype members don’t actually buy or download the apps through Skype but instead are directed to developer websites or app stores where they can get the software. Clicking on an app gets a clean description, screenshots, ratings and reviews, and it gives users several ways to share apps on social networks and on email. It’s a nice way for consumers to get acquainted with third-party Skype apps, and it gives developers a way to get some visibility. It also shows that the versatility and power of Skype is in the hands of other developers. It’s another sign that companies are seeing the value of building up ecosystems around their platforms. And giving developers a way to showcase their wares is a great way to engender support. Last year, Evernote, for example, launched Trunk, a showcase for apps that use its API, part of a larger effort to become a productivity platform. Expect more app directories and stores from companies building their own app ecosystems. Little T and Greg: They are available on android and iphones. I have an HTC Mt4g (android device) and my sisters have iphones. We use skype a lot. 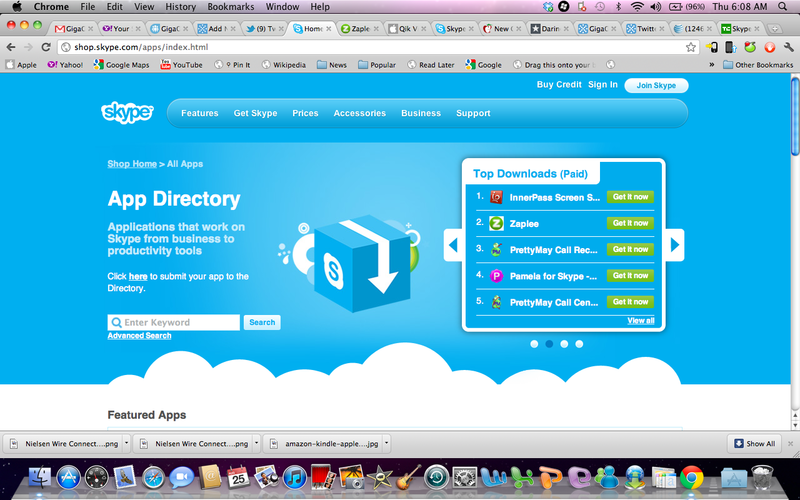 Go to skype.com for a link to be sent on your phone for download. They are also available at Itunes and Market, if you only search diligently. I agree with Greg !!!!! Please make this available!!! sorry Keoni but it’s not!!!! my skype in S.E. U5i d0esnt w0rk!